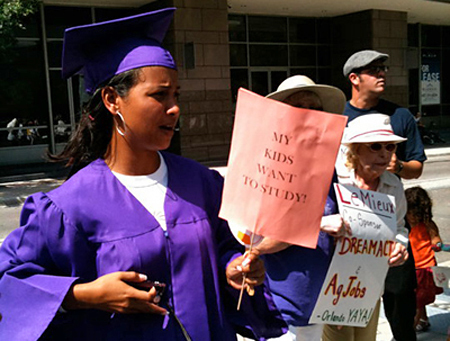 Farm workers and their families face a unique set of challenges in getting an education. Many farm workers have completed relatively few years of formal schooling; according to the most recent National Agricultural Workers Survey (NAWS), the average highest grade of school completed amongst farm workers is 7th grade (Farmworker Justice). Additionally, only ten percent of migrant farm workers finish high school, and eighty percent of adult migrant farm workers function at or below the 5th grade level (University of North Carolina, National Council of Churches). This is partially due to the lack of educational opportunities in their countries of origin. Once they come to the U.S., the primary obstacle standing between adult farm workers and formal education is work. Farm workers are paid sub-poverty wages to perform long hours of backbreaking labor. Their priority may be survival rather than going to school. However, even if they did have the time, energy, and financial resources to go to school, educational institutions are usually located far away from farm worker communities, and transportation is limited (not to mention undocumented workers are prohibited from holding a driver’s license in most states). Another significant obstacle to education is cultural barriers, including language barriers. Literacy programs in farm workers’ primary language may be difficult to come by. According to the National Agricultural Workers Survey, 18 percent of farm workers speak English, 81 percent speak Spanish, and two percent speak other languages such as Creole, Mixteco and Kanjobal. 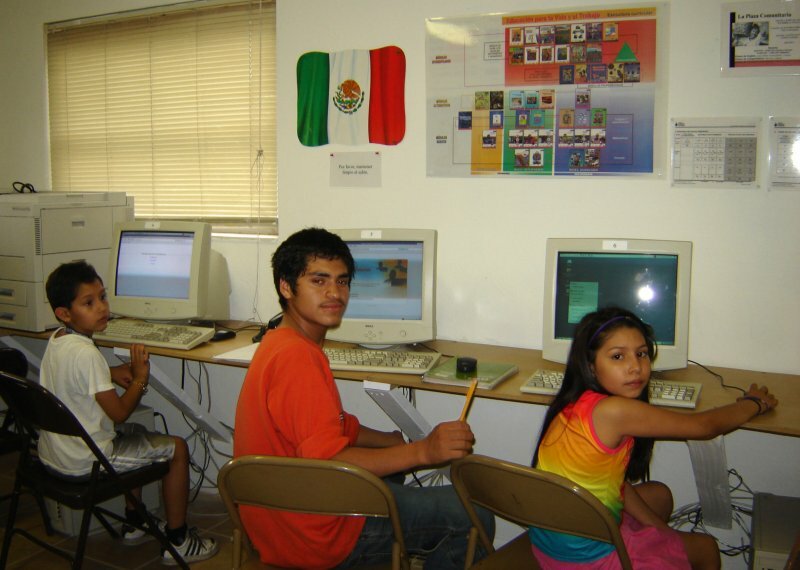 Children from farm worker families face their own educational obstacles. Like adults, they too are affected by economic strain. Farm workers have the lowest annual family incomes of any U.S. wage and salary workers. This struggle to make ends meet can leave children with no other option but to work in the fields alongside their parents in order to contribute to the family. Under U.S. law, agricultural workers as young as the age of twelve are permitted to work, and while children in other sectors can work no more than three hours per day during the school year, in agriculture there are no limits to how many hours children can work (NCC). A report from the Association of Farmworker Opportunity Programs (AFOP) found that children work in the fields for thirty hours per week on average, often during the school year. In addition to economic pressure, belonging to a farm worker family can often mean moving around often, and this takes an emotional toll on children, which impacts their education. According to the Catholic Migrant Farmworker Network, children who move often are two and a half times more likely to repeat a grade. Similarly, Human Rights Watch reports that only fifty five percent of farm worker children will graduate from high school. Children of farm worker families also struggle with the separation of their families and lack of job security for both their parents and themselves. In terms of higher education, again, for students living in rural areas, the nearest educational institution can be far away, with no easily accessible transportation. Furthermore, undocumented students who want to go to college are forced to pay out of state or even international student tuition instead of in-state tuition. The DREAM (Development, Relief, and Education for Alien Minors) Act attempts to address this issue. The DREAM Act is proposed legislation that would provide a conditional path to citizenship to young people who came to the U.S. as minors, in exchange for higher education or military service, along with other requirements such as good moral character. As of 2013, it has not passed on a national level, though some states, notably California, have passed their own versions of the DREAM Act to provide in-state tuition to undocumented students. Beyond all of these challenges, laws that criminalize undocumented immigrants exacerbate the difficulty children face in obtaining an education. In the wake of anti-immigrant laws being passed at the state level, growing fear has led some parents to keep their children out of school as they move with the crops. For instance, HB 56, the anti-immigrant law passed in Alabama and widely considered the toughest anti-immigration law in the U.S., requires public schools to share citizenship status of all new students with authorities. While the law is supposedly in place to collect statistics and does not forbid undocumented students from attending school, it has added to a climate of fear amongst immigrant families. Families are already choosing to keep their children at home rather than risk having their information and immigration status turned in to authorities. Overall, lack of education for farm worker adults and barriers to accessing education for farm worker children leaves families with no hope for a better life. Farm workers who work hard to feed the country deserve a dignified life, whether they want to continue working in the fields, going to school, or both. Visit our Education links section.